Any new music from Tennessee’s Joey Kneiser is a cause for celebration. With a nearly flawless back catalog — both solo and with Glossary — The Wildness finds Kneiser setting a new bar for himself. 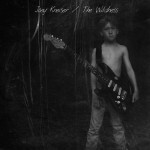 With a heart that pumps pure rock and roll and yearns for American freedom, The Wildness is Kneiser’s Born to Run. Yes, it’s that good. Read my review of The Wildness here and stream/purchase the album below.